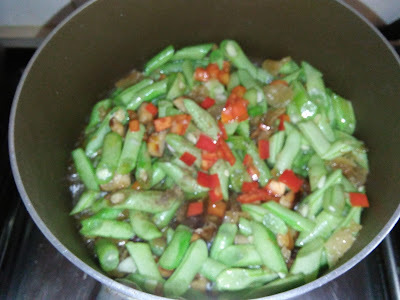 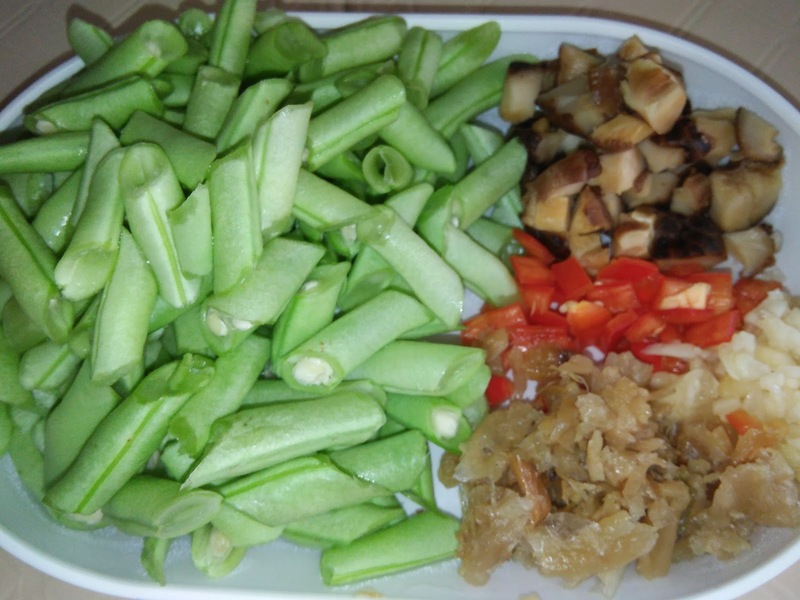 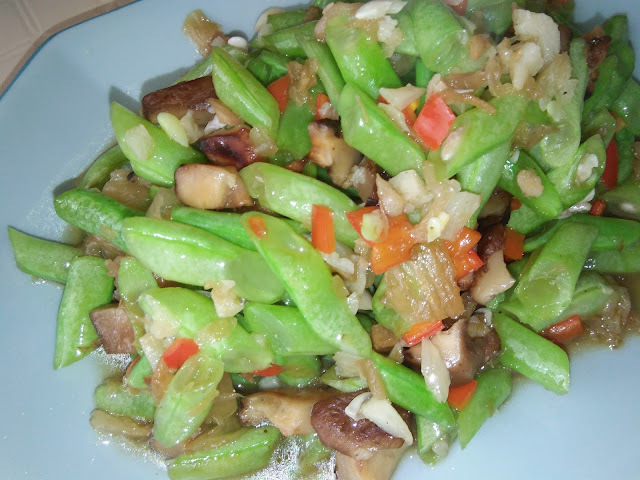 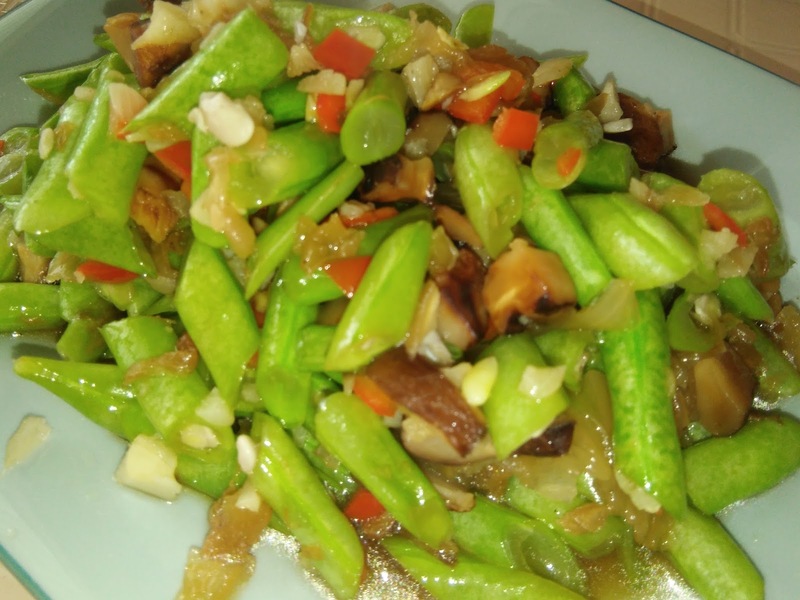 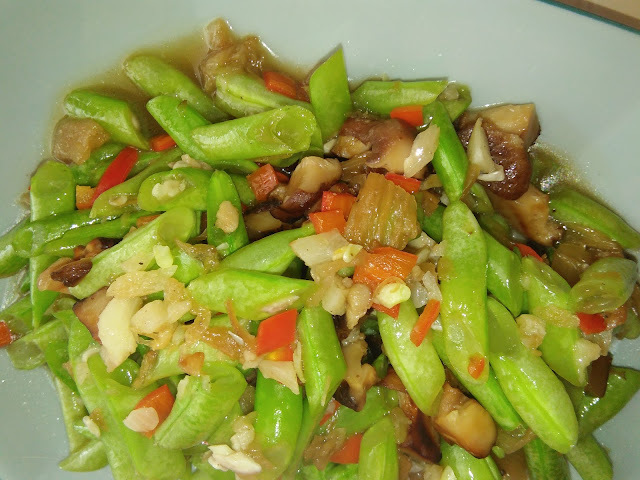 Again, another simple Chinese style stir fry vegetable dish. Great to serve with rice or porridge. The fried French beans are crunchy, mushrooms are fragrant and balance well with the crunchy preserved cabbage [tung chye]. 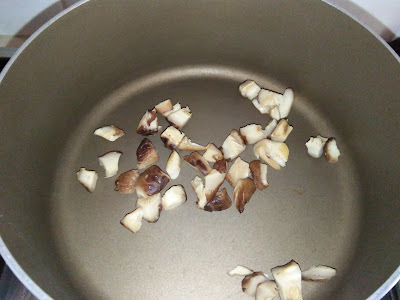 Stir fry mushrooms in a pan without oil until fragrant and lightly brown. 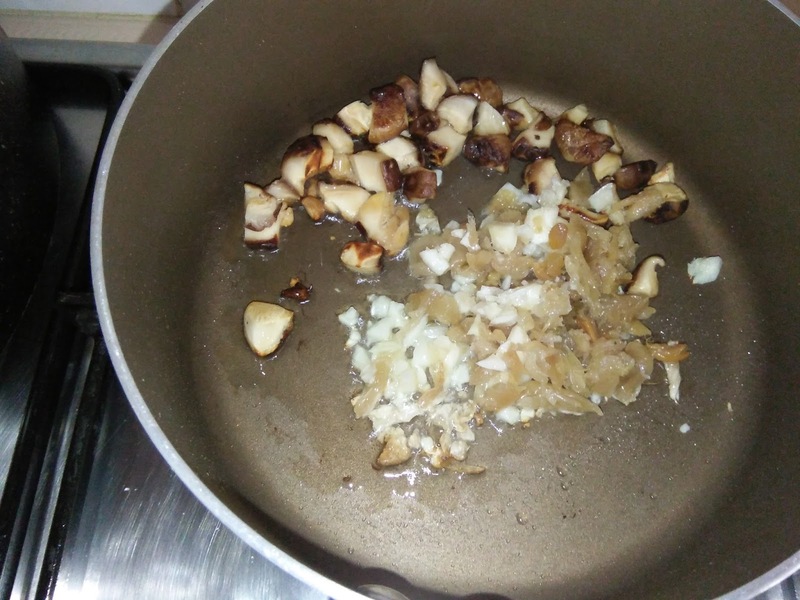 Add in 1 tablespoon oil, saute garlic and tung chye until aromatic. 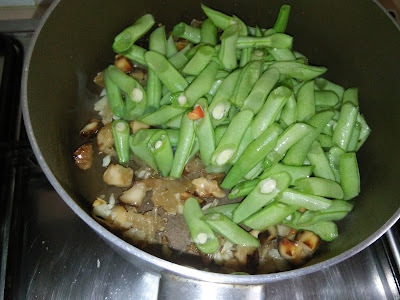 Add in French beans, stir to mix then add in some water. Add in seasoning and red chillies. Stir to combine all ingredients together over high heat till cooked. Dish up to serve with rice or porridge. 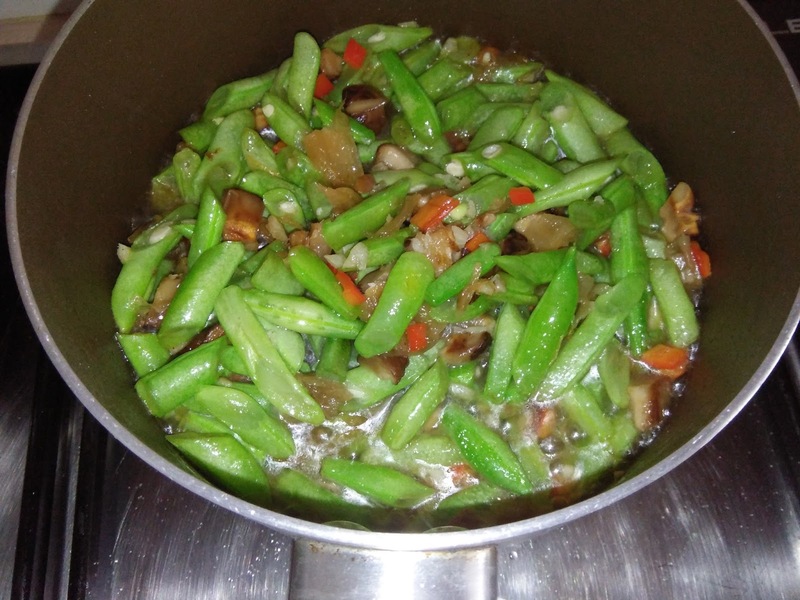 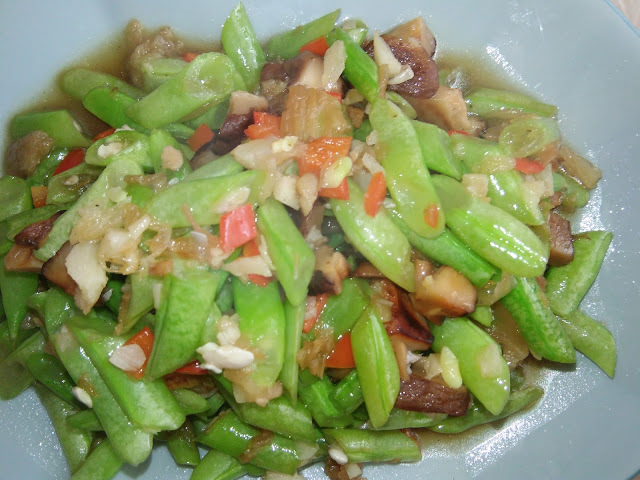 I like tong chye with French beans!